John D. Hachtel, 78 of Jefferson, passed away on Tuesday, November 6, 2018 at Rainbow Hospice Inpatient Center of Johnson Creek. John was born on April 9, 1940, at home in Sullivan, WI, one of 10 children of Alvin and Ruby (Merril) Hachtel. He married Beverly Zastrow on March 16, 1963 at St. Peter’s Lutheran Church of Helenville. Joh attended Cushman Mill School before attending Jefferson High, where he lettered in football, track and was active in FFA. After high school, he enlisted in the United States Air Force. After basic training at Lockland AFB, he was sent to Grand Forks AFB in North Dakota. While in ND, he received his Top-Secret Cryptographic clearance in the communication field. He kept this clearance for the next 4 ½ years. John took pride in knowing that he handled more classified materials than most US Congressmen. During his enlistment, he had stops in Guam, Japan, Korea, and New York. 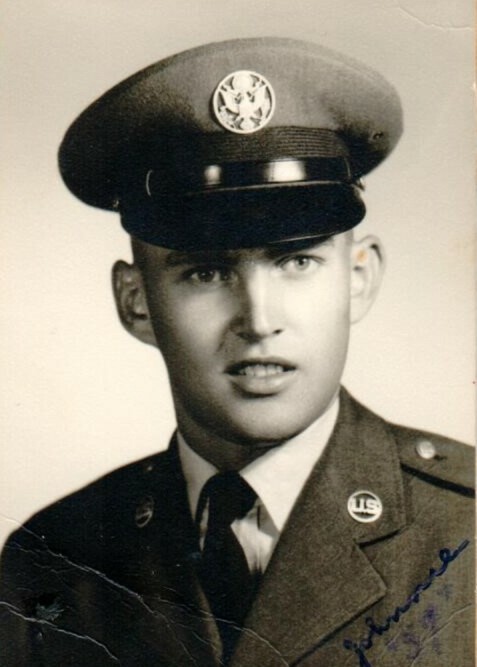 After Korea, he was sent to Griffiss AFB in Rome, NY, where his wife Bev joined him. After discharge, he returned home and bought the family farm near Rome, WI. John and Bev cashed cropped the farm and John worked at Stoppenbach’s for 39+ years, starting in the plant and driving truck for 14. John was also active in the community. He served 9 years on the Jefferson Board of Education (1992-2001). He also served 4 terms on the St. Luke’s Church Council, serving until his death. Along with his wife Bev, they were Cub Scout leaders, helped with Little League, and ran the Jefferson Old Timers Wrestling tournament for several years. John was a man of character and he devoted his life to his country, community and family. John is survived by: his wife on 55 years Beverly Hachtel of Jefferson; children Jeffery (Penny) of Jefferson, daughters Tricia (Shannon) DeVoe of West Lafayette, IN and Michelle (Peter) Schulz of Brookfield; grandchildren Ashley and Nicole Hachtel, Emma and Lexie DeVoe, and Daniel and Grace Schulz; siblings David (Pat) of Fort Atkinson, Danny (Cindy) of Avoca, NY, Ronald (Vickie) of Fort Atkinson, Evelyn Majeski of Hartland, Patricia (Forest) Cerny of St. Paul, MN, and Susie (Jerry) Mertens of Jackson. He is also survived by a number of nieces, nephews, other relatives and many friends. John is preceded in death by his parents, brothers Alvin, Merrill and Tommy (in infancy), nephew Greg Hachtel, and brother-in-law Romie Majeski. The family would like to express a sincere thank you to the staff of Rainbow Hospice for the loving care provided. A funeral service will be held at 12:00PM on Saturday, November 10, 2018 at St. Luke’s Lutheran Church of Rome with Rev. Michael Mannisto presiding. Visitation will be on Saturday from 9:00AM until the time of service at the church. Military honors will follow.